I graduated from King’s College in 2007 with a Bachelor of Science in Medical Studies and Master of Science in Physician Assistant Studies. After graduation my first position as a Physician Assistant was in Psychiatry. I have worked in all aspects of Psychiatry including outpatient community mental health, inpatient mental health, and private practice. In 2014, my interest in working in a more hands-on type of practice lead me to Pain Management & Rehabilitation. Regenerative Medicine has always been a fascination of mine and became particularly interested in Prolotherapy upon exploring the Caring Medical website and observing Dr. Hauser and his staff treating patients with all sorts of painful conditions – from arthritis to sports injuries to more complex conditions such as Ehler’s Danlos Syndrome and Cervical Instability. I have a unique perspective on the treatment of pain having worked in traditional Pain Management and Rehabilitation for over four years using the traditional medical approaches. I know the results of these treatments first hand. Prolotherapy’s aim is to strengthen the body and stimulate it to repair which is obviously much better for the long term health of the body. Pain is a gift. Really. Our body is telling us that something is wrong. I think it is so important to try to figure out what is causing pain in the body and repairing it rather than covering it up or trying to reduce it with steroids or anti-inflammatories. In traditional pain management, I think clinicians are quick to treat the symptoms rather than trying to determine the actual underlying problem. If a patient comes to see me complaining of back pain, the quick fix is to prescribe an anti-inflammatory medication or narcotic pain medication rather than taking the time to figure out the underlying cause of the back pain. Many times the patients themselves are also seeking a “quick fix” because they want to get back to normal daily activities and sports as quickly as possible, often to the demise of their bodies! Thus, patient education is a huge part of my practice. I want to ensure that my patients truly understand what will optimize their health and healing for the long haul. I want them to be healthy and active for a long time! Again, pain is our body’s way of telling us that something is wrong. I think it is so important to not only listen to the patient’s complaints but also to listen to what they want to get out of their treatment. My approach when treating patients is to first listen attentively and provide a thorough physical examination. Patients know what is wrong. If you gather a detailed and targeted medical history, the symptoms will lead you in the right direction. This also requires, however, a thorough knowledge of musculoskeletal medicine, as well as neurology. Sometimes joint instability produces some of the most seemingly bizarre symptoms that only a Prolotherapist would understand. 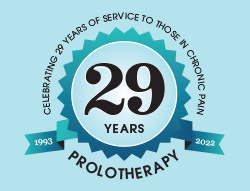 Thus, we who treat patients using Prolotherapy are often able to fully resolve patients’ painful conditions that may have plagued them for many years and even left them without a proper diagnosis. That brings me much joy – to be able to offer hope in what may seem to be hopeless situations. I also have open and honest discussions with my patients about their expectations and then discuss our mutual roles in their treatment and rehabilitation. 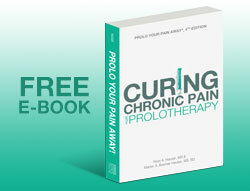 I expect a commitment on both ends – from the patient and myself, the Prolotherapist. For example, a low back pain patient may receive a series of Prolotherapy injections to help repair his injury, but he also needs to work on strengthening exercises and weight loss if that is an issue. 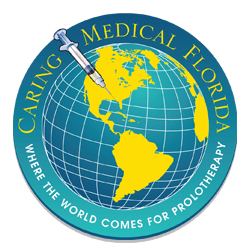 We provide a comprehensive approach in our care of patients here at Caring Medical, addressing all aspects of patients’ lives that may affect their overall health and ability to heal from Prolotherapy, including diet, exercise, hormone levels, stressors, in addition to the physical injuries present. 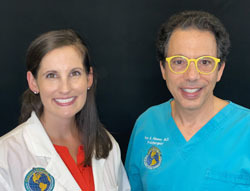 I am thrilled to provide my patients with all of the comprehensive Prolotherapy modalities that Caring Medical offers at our clinic, including Hackett-Hemwall dextrose Prolotherapy, as well as Platelet Rich Plasma (PRP) and/or Stem Cell Prolotherapy. I also utilize NRIT and Neural Prolotherapy (LPIT) as adjunctive treatment modalities when nerves may also be involved. My patients continue to motivate me as I see the struggles that they present to me on their initial visit. Patients who have been through the mill seeing countless medical providers, having taken a wide array of medications, and are at their wits end come to me and trust me with their care – for this I am truly blessed. It is an honor to be a part of the solution. I was born and raised in Northeastern Pennsylvania. Both my mother and older sister are nurses and it was seeing their passion for patient care that made me want to go into medicine – and I am so glad that I did! I count it a tremendous privilege to care for my patients. Although moving from Pennsylvania to Florida was a big change for me, I love the sun and the beach! I also enjoy traveling, shopping (New York City here I come! ), fitness, sports, and anything outdoors! I truly sympathize with my patients who are limited because of their pain or injuries because I cannot imagine not being able to be physically active, as it is such a big part of my life. Therefore, I will do everything I can to help my patients get back to doing the things they love and help keep them active for life! Thanks for taking the time to read a little more about me. I look forward to working together to help you restore your body to its fullest capacity. And if you like to stick your toes in the sand, I’ll be seeing you out at the beaches of beautiful SW Florida!